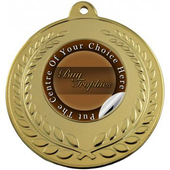 Silver metal finish trophy mounted on a white marble effect base. 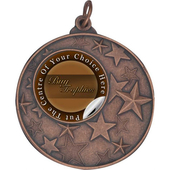 Larger sizes in this trophy have a purple holder to make the trophy taller. 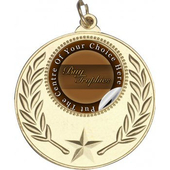 You may also choose to add a personalised engraving plate to the trophy.